In this second SFI training video I show you how to post your SFI banner ads on a free banner advertising exchange. 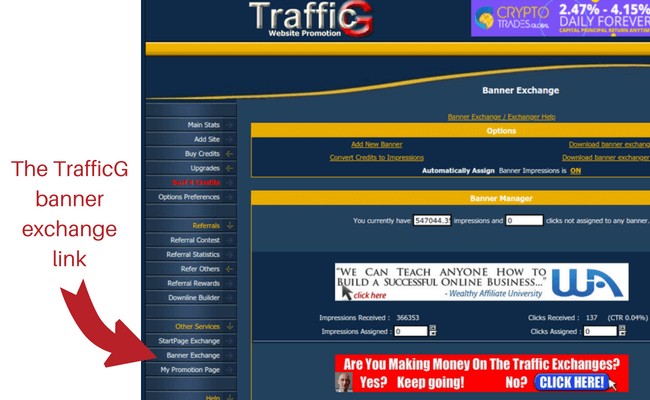 Trafficg is one of the biggest free traffic exchanges and banner exchange networks on the Internet. 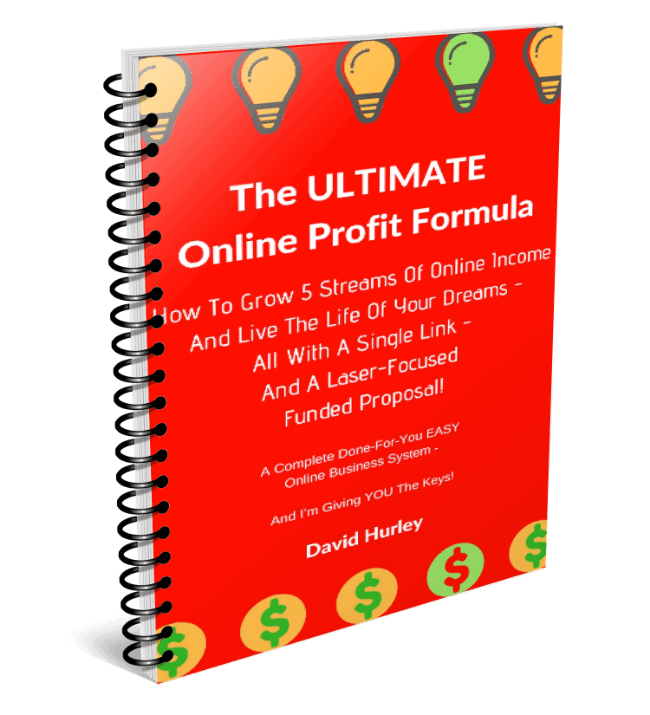 This is David Hurley of Top5Programs.com. 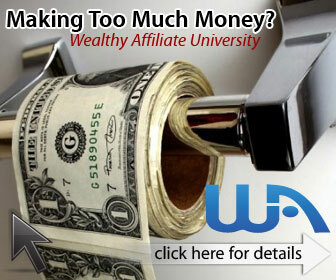 Today I’m going to take you through the second of my SFI free advertising training videos. 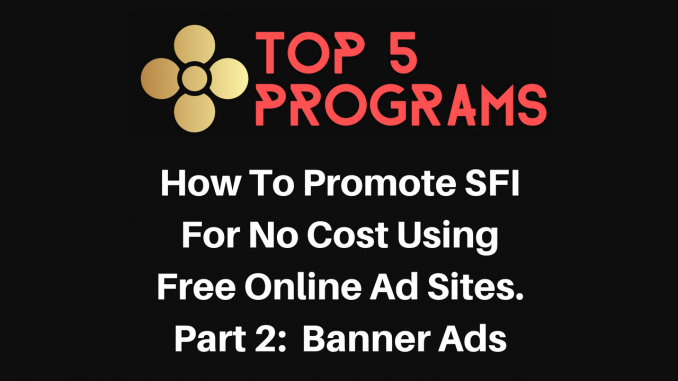 Today’s topic is how to place SFI’s banner ads on a free banner advertising exchange. The site that I’m going to focus on today is Trafficg.com. Trafficg.com is one of the biggest traffic exchange sites on the Internet. As well as their main traffic exchange service they offer a free banner advertising exchange service. I’ll just log into my TrafficG account and show you the banner exchange side of their site. My TrafficG dashboard with a couple of my banner ads campaigns. So we come down here to “Banner Exchange.” Click “Banner Exchange” and you’ll see a whole bunch of my banners here already busily working for me. You can see down here where I’ve added quite a few SFI banners, here. And you can see that I’ve been receiving some clicks. The CTR (Click Through Rate) for banner ads on a traffic exchange such as TrafficG is typically very low. A CTR of over 0.1% (1 click per 1000 banner impressions) is really quite good. It’s still very early in the campaign, but the best SFI banner CTR on TrafficG so far is 0.05% for the “Round The Clock” banner. But the point is that when you post multiple banners, each one may only a few clicks here and there, BUT the total number of clicks becomes quite significant. The benefit of making a unique banner of your own, a banner that people won’t have seen before, is that it often gives you a higher CTR. This banner, that I made on Canva.com and host on Adkreator.com gives me a CTR of 0.14% and has generated 32 clicks from 23,634 impressions, so that’s not too bad at all. But we are not making our own banner for this SFI training series. We are keeping it simple and just taking SFI banners and posting them on free advertising banner exchanges. NOTE: If you want to make your own unique banners to promote SFI, you will need to post a ticket to SFI support to get approval. First log in to the SFI Affiliate Center and go to “Marketing” – “Marketing Aids.” Then click on “SFI” and select “Banners” in the “Type” drop-down menu. In most cases you will want to use a 468 x 60 horizontal banner, or sometimes a 125 x 125 square banner. You can select the banner size in the “Size” drop-down menu. When you find a banner you want to promote, click the Preview button under the banner. You will need to copy the banner URL and paste it into the “Banner URL” field on the banner exchange. Next, copy your affiliate URL for the FREE (or REAL) gateway page and paste it into the “Target Site URL” field. Then click the Save Banner button. Finally, allocate some impression to the banner. That’s it. Now repeat the process for several other banners to build up your banner advertising campaign on TrafficG.com and on other traffic exchanges and free banner advertising exchange sites. If you use a free banner advertising exchange that is part of a traffic exchange site, you usually get a favourable exchange rate when you want to convert your TE credits into banner exchange impressions. 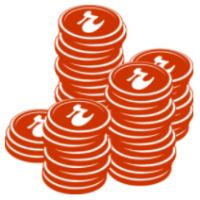 For example, TrafficG offers 25 banner impressions per TE credit. So I think it is a good idea to focus on banner advertising on the TEs because people only click on a banner ad if it interests them. That means the clicks you get on your banners are “genuine interest” clicks. In contrast, the traffic you get from your traffic exchange links are simply people surfing the exchange to earn credits to promote their own sites. 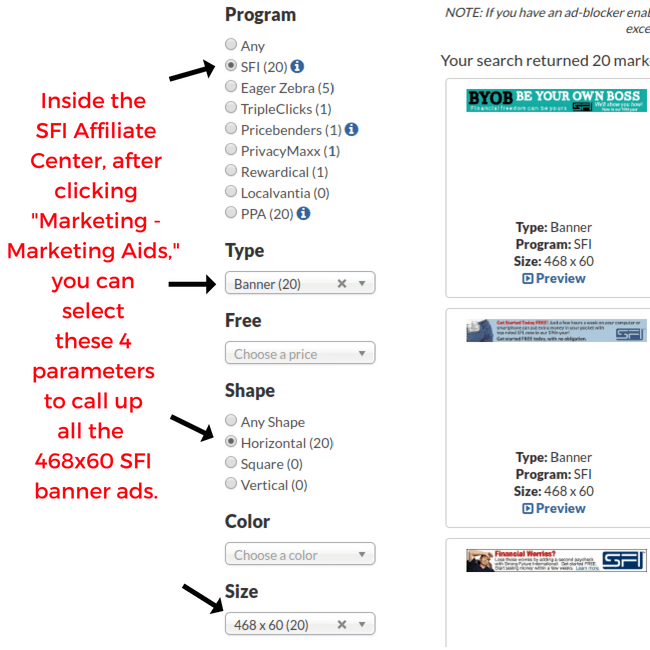 So if you are surfing traffic exchanges as a free member, consider converting your hard-earned credits into banner impressions to promote your SFI banners.